To improve the adsorption capacity of Cd(II) ions, Cd(II) ions were imprinted on the surface of aminoethyl chitosan (AECS), which was coated on Fe3O4@SiO2 nanoparticles. 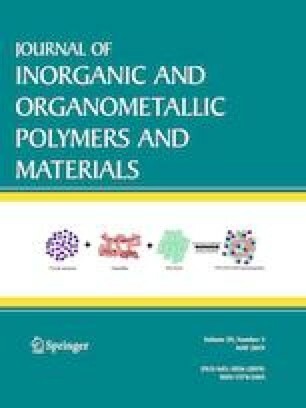 A novel magnetic Cd(II) ion-imprinted polymer (Cd(II)-IIP) was synthesized, characterized, and applied to the selective separation of Cd(II) ions from aqueous solution. The adsorption–desorption properties and selectivity of Cd(II)-IIP and a non-imprinted polymer (Cd(II)-NIP) were investigated. The optimum pH and equilibrium binding time were established at pH 6.0 and 60 min, respectively. Kinetics studies demonstrated that the adsorption process proceeded according to a pseudo-first or second order model, while the adsorption isotherms agreed with the Langmuir model. The maximum adsorption capacities of Cd(II)-IIP and Cd(II)-NIP toward Cd(II) ions, as calculated by the Langmuir equation, at pH 6.0 and 25 °C were 26.1 and 6.7 mg/g, respectively. The imprinted polymer showed higher selectivity toward Cd(II) ions compared to the non-imprinted polymer. The relative selectivity factor (βr) values of Cd(II)/Cu(II), Cd(II)/Cr(II), and Cd(II)/Pb(II) were 3.315, 3.875, and 2.061, respectively. In addition, Cd(II) ions adsorbed on the Cd(II)-IIP adsorbent could be easily released using 0.1 M HNO3, thus showing good material stability and reusability. The adsorption capacity of Cd(II)-IIP was retained at 74% after undergoing six adsorption–desorption cycles. We are grateful to the National Natural Science Foundation of China (Grant No. 41771509), Zhejiang Science and Technology Project (Grant Nos. 2018C37052, 2016C37078, 2008C14067) and SRF for ROCS, SEM.